WARSAW – The Warsaw boys track program has enjoyed an amazing run of success over the last six seasons. It’s guys like Joseph Harness who have made that kind of success possible year after year. Harness, who has overcome a back injury to return to competition, may not get the headlines or score a ton of points for the Tigers this spring. The hard-working and humble high jumper, though, will bring plenty to the table for coach Matt Thacker’s team. Harness will be counted on for senior leadership on a program that is known for its seniors providing the direction. The Tigers lost a high quality group of seniors from last year’s team that won its sixth straight Northern Lakes Conference meet title, its sixth straight sectional crown and its third regional championship in the past four years. 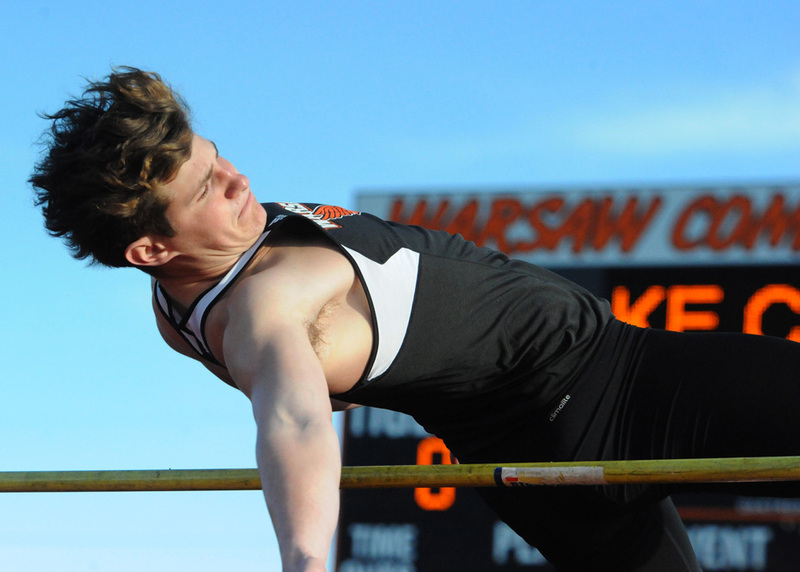 Warsaw, which has won 41 straight conference meets since a loss to Concord back in 2011, graduated its top two high jumpers in Brock Riley and Luke Wilson. The pair tied for third-place honors in the Goshen Sectional in 2016 and then Riley placed fifth and Wilson seventh in the Warsaw Regional. Harness, for his part, is ecstatic to be able to jump. He cleared 6-2 early last season before his back issue flared up. Harness suffered a fractured lumbar in his back during his sophomore year. He did not have surgery, but spent 3-4 months in a back brace and had to undergo physical therapy. Harness, who has 10 siblings, has also played football for the Tigers, where Thacker serves as the program’s offensive coordinator. He played linebacker, safety, receiver and backup quarterback on the gridiron last fall for coach Phil Jensen’s squad. Harness says he enjoys the challenge that track provides. “I like the competition and I like the fact that it makes me push myself, both mentally and physically,” noted Harness. “It makes me accountable and I like that. Warsaw is scheduled to host East Noble and Fort Wayne Snider tonight in its outdoor opener.